How far would you go to make a new start? 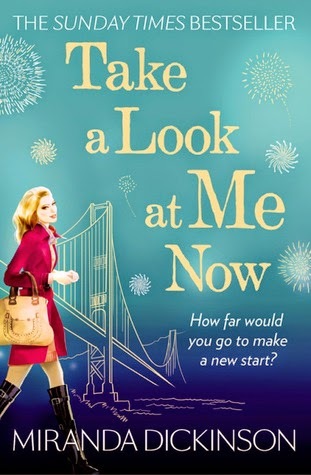 Heart-warming and romantic, Take a Look at Me Now will make you laugh, cry and cheer Nell on from start to finish. What a difference a day makes...Nell Sullivan has always been known as 'Miss Five-Year Plan'. But when she finds herself jobless and newly single on the same day, Nell decides it is time to stop planning and start taking chances. Nell blows her redundancy cheque on a trip of lifetime to a place where anything is possible - San Francisco. There she meets a host of colourful characters, including the intriguing and gorgeous Max. Very soon the city begins to feel like Nell's second home. But when it's time to return to London, will she leave the 'new Nell' behind? And can the magic of San Francisco continue to sparkle thousands of miles away? This book isn't just about the main character's journey after she is made redundant, but it's about the author's obvious passion for the city of San Francisco and boy did it make me want to go and visit (it's now on my bucket list!) Her obvious enthusiasm for so many different areas of that part of California was contagious. As for the story itself, I was totally smitten. 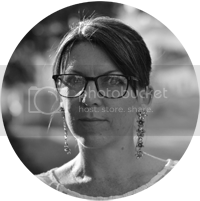 I couldn't put the book down – finishing it in two afternoons! I love the way Miranda writes, it's so true to life, if you know what I mean? You can really see this kind of thing really happening to a thirty something woman in London. After I was made redundant, I wish I'd have been as brave to go hop on a plane to San Francisco for two months. Lizzie was particularly brilliant, but I loved all of the characters and found myself wishing for certain things to happen and for the story to unravel the way it did. All in all, yet another wonderful book by a superb chick lit author. Can't wait to get stuck in to Miranda's other books.